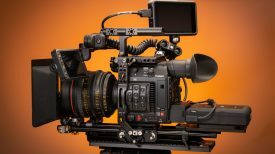 The APS-C line of Sony cameras have been very popular and Sony has been pushing the a6300 and a6500 hard with 4K video and high frame rate photography. Today at Sony’s San Diego headquarters they revealed the next generation APS-C camera. The a6400. While the specs are important the one feature that most people will be talking about is yes it has an actual flip out screen! 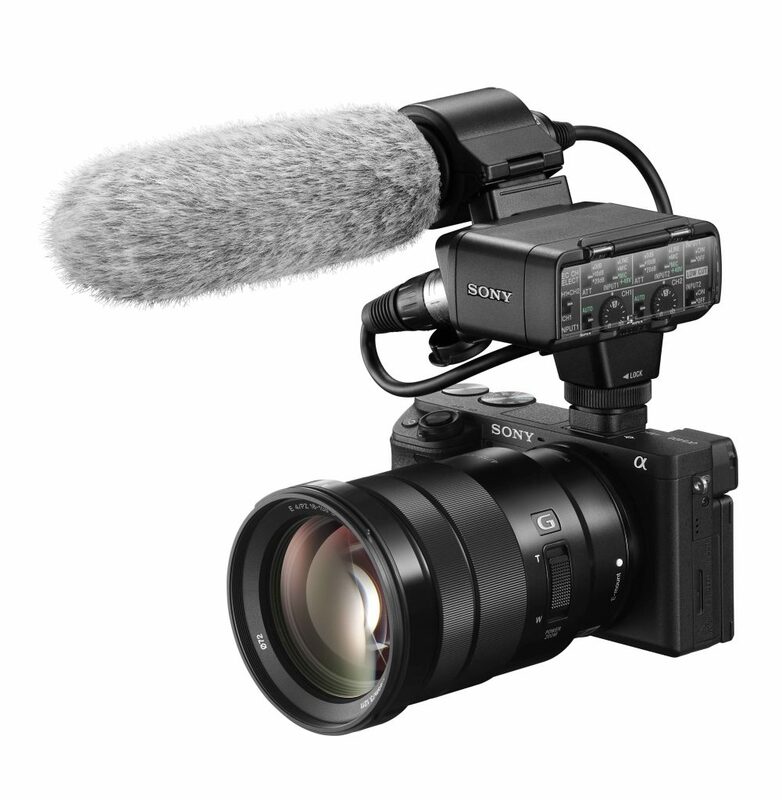 The Sony α6400 has a full 180-degree tiltable, 3.0-type LCD flip screen with 921k-dots of resolution. This will make vloggers very happy as well as solo shooters who just want to be able to frame up a shot while in front of a camera. One thing that might be an issue is the screen flips out on top so if you have a microphone in the hot shoe as many vloggers do it will cover the screen. 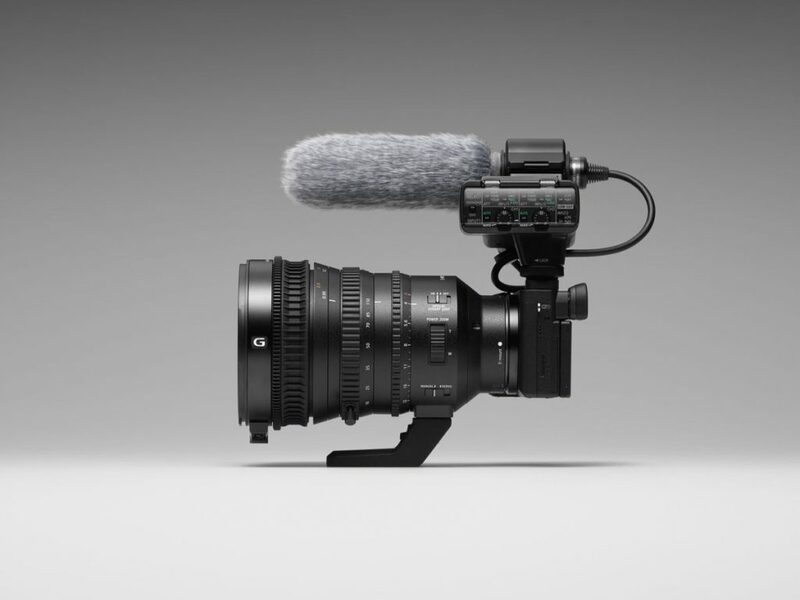 To get around this issue, it looks like Sony will also release a short T-bar which can be used to mount the camera & the microphone off to the side. The LCD screen is also equipped with touch functionality, with options for Touch Pad, Touch Focus, Touch Shutter and new Touch Tracking which quickly activates the new “Real-time Tracking” through the touch screen. Like the a6500 the a6400 has internal 4K (QFHD: 3840 x 2160) movie recording with full pixel readout and no pixel binning and then oversamples it to produce high-quality 4K footage. Sony says the newly upgraded “Fast Hybrid AF” technology will increase the performance of autofocus in video mode substantially even if an object crosses in front of the camera. This advanced AF plus touch focus functionality make it an ideal camera choice for many vloggers and video creators that are regularly creating and uploading content online. The a6400 doesn’t have a record limit so you can roll till the battery runs out or the camera overheats. Speaking of overheating the camera has the same menu option to allow the camera to continue to operate even when it’s hot. It will shut down if it exceeds the limit set by Sony. Additionally, for the first time in Sony APS-C mirrorless camera, the new a6400 includes an HLG (Hybrid Log-Gamma) picture profile, which supports an Instant HDR workflow, allowing HDR (HLG) compatible TV’s to playback 4K HDR imagery. 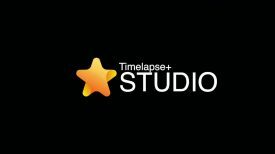 Further, both S-Log2 and S-Log3 are available for increased color grading flexibility, as well as Zebra functionality, Gamma Display assist and proxy recording. The camera can also record Full HD at 120 fps at up to 100 Mbps, allowing footage to be reviewed and eventually edited into 4x or 5x slow-motion video files in Full HD resolution with AF tracking. On release codecs and quality settings were not released. Sony claims the new a6400 has the world’s fastest autofocus (AF) acquisition of 0.02 seconds, while also introducing the new advanced “Real-time Eye AF” and ”Real-time Tracking” capabilities. The new firmware 5.0 will be available for the a9, a7R III and a7 III. The super-fast autofocus system on the new α6400 inherits many technologies from Sony’s newest line-up of full-frame cameras including the a9, a7R III and a7 III models. The new a6400 features 425 phase-detection AF points and 425 contrast-detection AF points that are placed densely over the entire image area, covering approximately 84% of the image area. This high-speed, high-performance tracking AF system is paired with a new-generation BIONZ X image processing engine that together allows the camera to acquire focus in as little as 0.02 seconds and maintain subject lock extremely effectively, ensuring even the fastest moving subjects can be tracked and captured. The α6400 introduces advanced “Real-time Eye AF,” the latest version of Sony’s Eye AF technology. This new capability employs artificial intelligence based object recognition to detect and process eye data in real time, resulting in improved accuracy, speed and tracking performance of Eye AF. In all autofocus modes, the camera now automatically detects the eyes of the subject and activates Eye AF with a half press of the shutter button, and when in AF-C or AF-A mode, the preferred eye (left or right) of your subject can be selected as the focus point. Choices include Auto / Right Eye / Left Eye, and a Switch Right / Left Eye function is able to be assigned to a custom function as well. Eye AF support for animals will be added in summer 2019 via a system software update. Also debuting on the α6400 is Sony’s newly developed “Real-time Tracking.” This mode utilizes Sony’s latest algorithm including artificial intelligence (AI) based object recognition and processes color, subject distance (depth), pattern (brightness) as spatial information to ensure that all subjects can be captured with excellent accuracy. Additionally, when photographing or shooting video of humans or animals, face and eye position information are recognized by AI and the subject’s eye is monitored in real time with extremely high tracking precision. This can be activated by a simple half-press of the shutter button or can be assigned to a custom function as well. In terms of overall shooting speeds, the new camera can shoot at up to 11 fps with full AF/AE tracking while utilizing the mechanical shutter, and up to 8 fps with full AF/AE tracking while silent shooting. It can shoot at each of these speeds for up to 116 frames JPEG Standard / 46 frames RAW compressed. 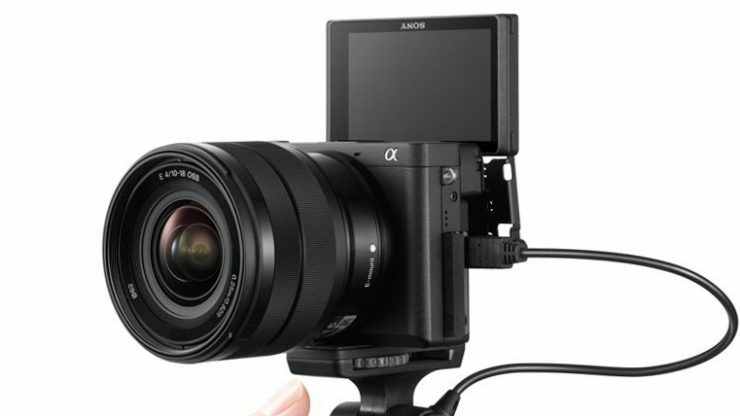 The a6400 features a new XGA OLED Tru-finder™ viewfinder with extensive customization and 89 functions that are assignable to 8 custom keys, the new My Dial and My Menu functionality, enhanced overall menu usability, a help screen for menus, star rating for images, and many other features that allow for a better shooting experience. The body is made of tough and light magnesium alloy and has a durable shutter that is rated for approximately 200,000 cycles. It also is capable of transferring files to a smartphone or tablet when connected to the brand new Imaging Edge Mobile application. 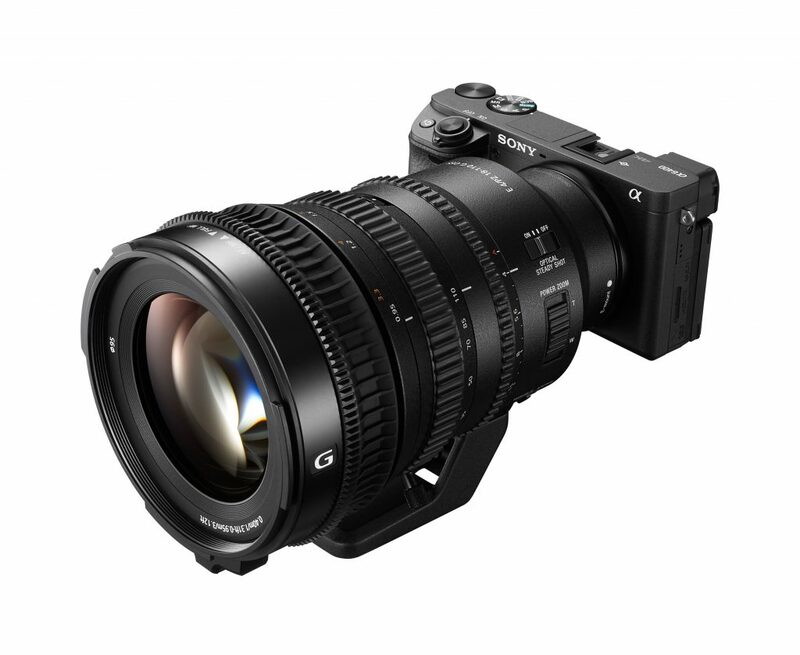 Sony’s new α6400 is equipped with a 24.2 MPiii APS-C sized image sensor with that is paired with an upgraded BIONZ X processor to deliver advancements in image quality and color reproduction in all types of shooting conditions. 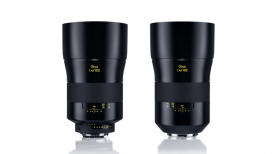 Standard ISO ranges up to ISO 32000 for both still and movie, and is expandable up to ISO 102400 for still images, with excellent noise reduction at medium and high sensitivities. The camera also inherits many of the image processing algorithms from Sony’s newest full-frame cameras. As for rolling shutter hopefully, the new BIONZ X processor will help. The autofocus is really impressive on the new a6400 camera release from Sony. I have owned all the a6000 models and for the most part, have liked them a lot. My main issue with the a6300 and a6500 cameras was the overheating issue they had when shooting 4K. 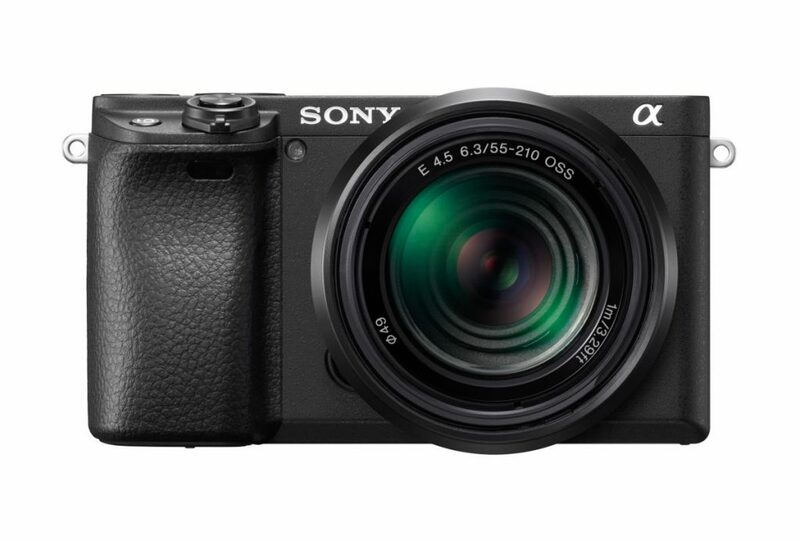 While Sony addressed this in the a6500 with a firmware update that allowed the camera to run hot it was an inconvenience that made it a deal breaker early on. I hope the a6400 will not have the issue. I also don’t see IBIS, headphone jack or a new improved battery offered and the body looks to be the same size. All in all the a6400 looks like an upgrade from the a6500 but if you are into APS-C the Fujifilm X-T3 seems like a better choice for filmmaking. I have to monitor my audio. On the other hand, if AF is really important to you the a6400 might be the best APS-C sensor option. Why it’s named under the a6500 is a little odd and I’m sure will confuse buyers early on.